Another day, another tantalizing piece of evidence that we'll get PS5 backwards compatibility. This time PS4 lead architect and Knack creator Mark Cerny has teamed up with Naughty Dog project manager David Simpson to file a new backward compatibility patent with the US Patent and Trademark Office on behalf of Sony Interactive Entertainment. The patent, titled "Backward compatibility by algorithm matching, disabling features, or throttling performance" is a lot simpler than it sounds judging by the embedded flow chart. "A new device executing an application on a new CPU determines whether the application is for a legacy device having a legacy CPU. When the application is for the legacy device, the new CPU executes the application with selected features of the new CPU that are not present on the legacy CPU disabled..."
As its creators describe it, Sony is toying with the idea of emulation, using a new CPU, or processor, to mimic the performance of an older one. In layman's terms, this patent illustrates a method for backward compatibility that doesn't require the integration of an older, "legacy" CPU. 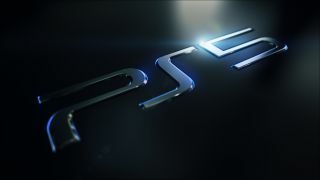 For instance, instead of incorporating both a PS4 and PS5 chip, upon launching a game, the theoretical "new device" can figure out on its own what system the game in question was developed for. From there, it can either enable or disable certain features exclusive to the new hardware depending on what features the game supports. Additionally, it's designed to match latency to that of the original platform. Please make PS5 backward compatible with Viewtiful Joe, Sony. We're counting on you. In other words, should this patent come to fruition, Sony aims to preserve the quality of supported backward compatible titles to perform how they did when you first experienced them. Notably, that contradicts an earlier patent Sony filed just last month, wherein the company expressed interest in "Remastering by Emulation. We assumed this meant digital upscaling of resolution and textures, a la the "Xbox One X Enhanced" feature for original Xbox and Xbox 360 games. Instead, it seems as if that effort was either scrapped or curtailed for some unbeknownst reason. Maybe it was simply too expensive to implement, or perhaps more likely is that Sony is firing on all cylinders and seeing what sticks. Whatever the case may be, anyone banking on a PS5 release later this year will be sorely disappointed considering the volatility and ostensible prematurity of these recent patent filings. No matter when it crops up, it's clear Sony is already embracing its legacy with PS5 than it ever did with the console before it. Wondering what a next generation console might cost? We did the math to figure out the PS5 price.